Eugene Peterson, Professor Emeritus of Spiritual Theology, Regent College. Rev. Kathleen Christopher, Director, Healing and Prayer Ministries, The Falls Church Anglican. R. Thomas Ashbrook, Founder of Imago Christi; author of Mansions of the Heart and Presence. Rev. Dr. Brad Long and Cindy Strickler, co-authors of Let Jesus Heal Your Inner Wounds: Cooperating with the Holy Spirit in Healing Ministry. Linda Williams, MD, Adult Psychiatrist. How would your life change if you knew in your bones God looks on you not with disappointment or anger, but with joyous love and delight? In Stone by Stone I tell the story of the healing of my relationship with God and equip readers to seek the same healing. Childhood trauma—a life-threatening head-injury, eight years of constant helmet-wearing, and murders of my aunt and cousin—caused me to build a wall between God’s heart and mine. I didn’t even know the wall existed. I just knew I couldn’t experience or rest in God’s love for me. When God helped me to tear down this wall—stone by stone–I came alive to the love in his heart. Not long after, I began to write this book to invite readers to tear down the walls in their hearts as well. Stone by Stone will help you identify and remove ten stones possibly obstructing your intimacy with God—including guilt, unforgiveness, lies, and unhealed memories—so you can delight in the joy of knowing God’s love for you as his beloved son or daughter. 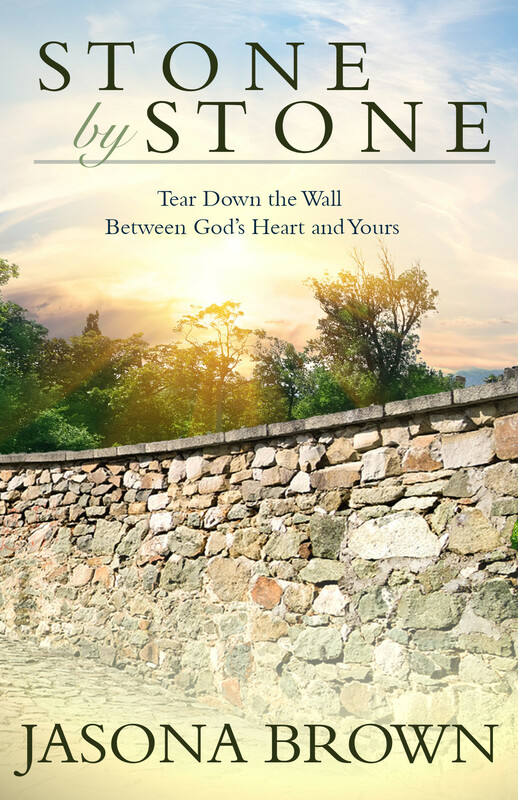 Stone by Stone includes spiritual exercises to help you cooperate with God in removing heart-stones and discussion questions so the book can be used between friends, in a small group, or in mentoring relationships. I pray it will inspire you to seek God with all your heart. He promises to be found by you (Jeremiah 29:13-14).